In popular culture “banana” usually refers to soft, sweet, dessert bananas, particularly those of the Cavendish group, which are the main exports from banana-growing countries. By contrast, Musa cultivars with firmer, starchier fruit are called plantains or “cooking bananas”. 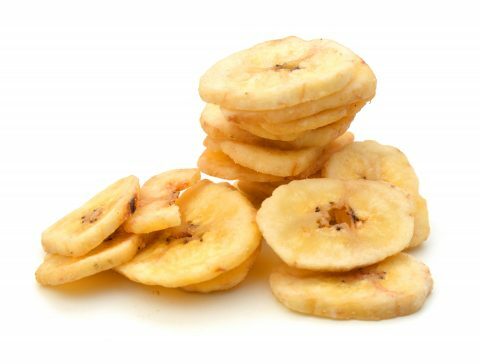 Banana chips are in fact produced from Plantain. The true origin of Bananas is found in Malaysia. Bananas traveled from there to India where they are mentioned in the Buddhist Pali writings dating back to the 6th century BCE. In his campaign in India in 327 BCE, Alexander the Great relished his first taste of the banana, an unusual fruit he saw growing on tall trees. He is even credited with bringing the banana from India to the Western world.